Sanjay Leela Bhansali's period drama 'Padmaavat' was one of the biggest hits of 2018. The film was in trouble already much before its release. The film had some brilliant performance by Ranveer Singh, Shahid Kapoor and Deepika Padukone. But a lot of people might be unaware that this wasn't necessarily the original cast of the film and could have been entirely different. In fact, director of the film, Sanjay Leela Bhansali had first approached Shah Rukh Khan to play Maharawal Ratan Singh - Shahid Kapoor's character, according to a report in India Today. 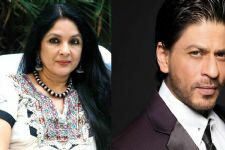 However, the report suggests that King Khan refused to play the character as he thought that the main focus of the film is on Rani Padmini and Khilji. On learning that, Bhansali offered SRK the role of Khilji - played by Ranveer. But SRK reportedly refused to play Khilji as well, as at that time Shah Rukh was still facing backlash over his film 'Raees' and thought that playing Khilji would just make things worse for him as it was a purely negative character. Prior to this, Bhansali had reportedly considered Salman Khan and Aishwarya Rai Bachchan for lead roles in 'Padmaavat'. 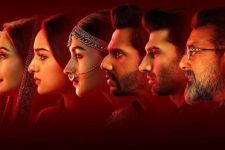 After the release of the film, all the three actors were appreciated by the fans and it turned out to be one of the successful films at the box office in the year 2018.